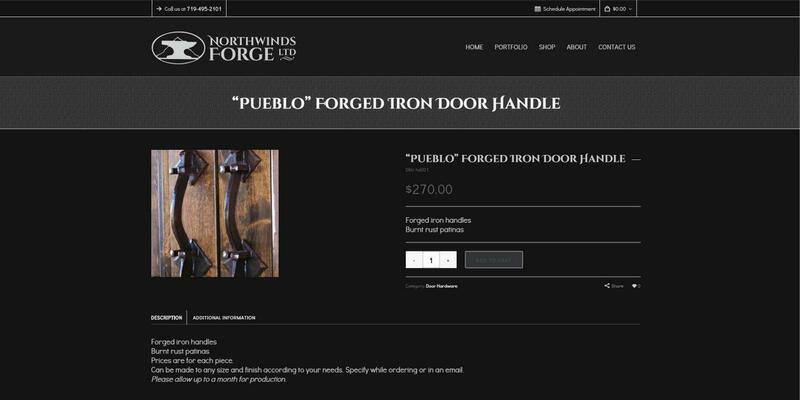 Northwinds Forge, Ltd. of Colorado Springs, Colorado was founded in 1994 by Butch Lee, artist blacksmith. 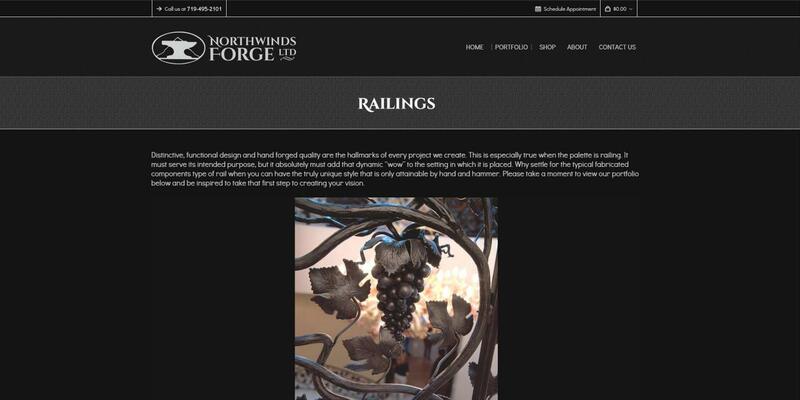 With their initial and continuing focus on the design and creation of distinctive, hand forged, custom ironworks of an architectural nature, we realized that we had our work cut out for us. 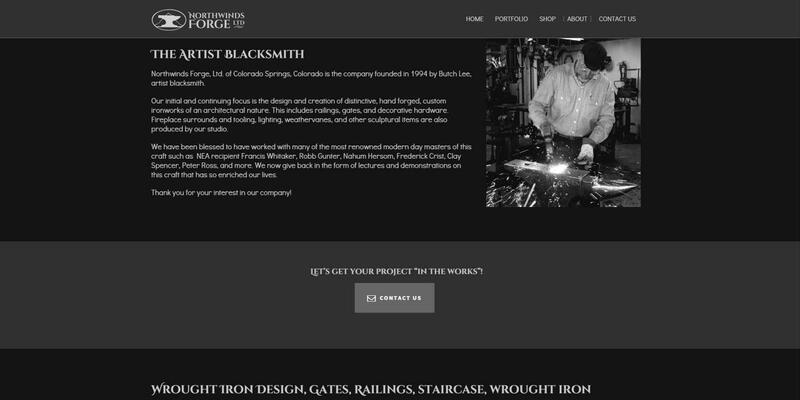 Butch knew that he wanted a website that communicated the care and dedication he had to his craft, so we set out to design a website and brand that would showcase his work with beauty and artistry. After our original meetings with Butch, we recrafted his logo to match the direction that we planned to go with his website. We then spent extensive time in the mock-up and design stages of his site, to make sure that we had everything perfect before entering in to the web development stage. 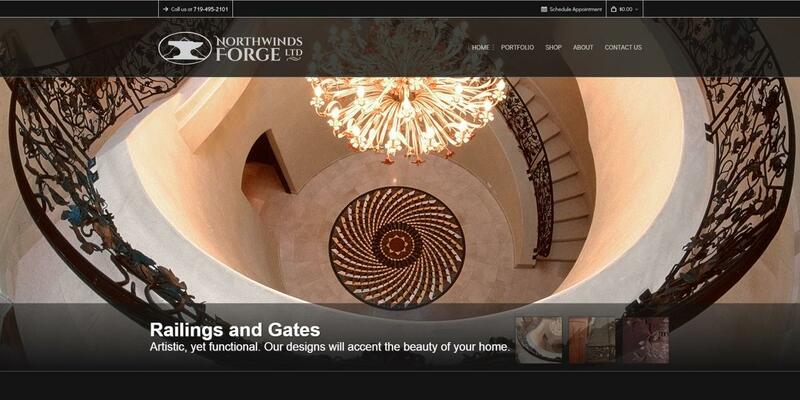 We worked with him to create a website in a user friendly, responsive, and powerful CMS, WordPress, and were all very pleased with the results. We hope that his future clientele are able to feel like they’ve entered in to his showroom to see the years of beautiful masterpieces that he has created. It was a pleasure to work with such an artist as Butch. 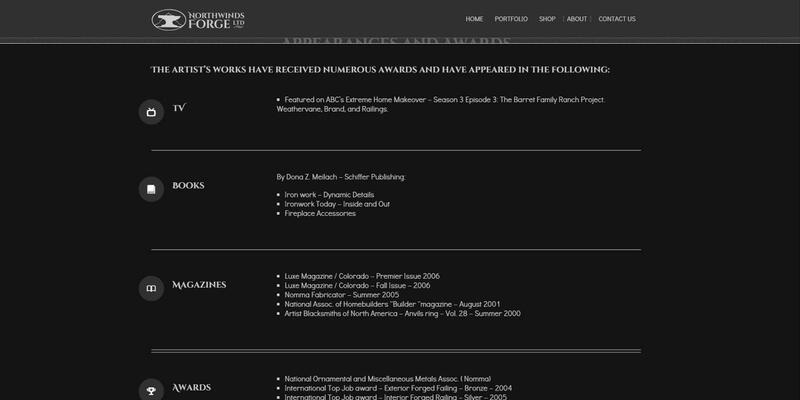 We expect to see his continued success and we’re proud to have worked with him to create his new website.